It’s not uncommon to hear snide remarks about international foods we serve here in Singapore, like ‘it doesn’t taste like the real thing’. NamNam Noodle Bar has proven patrons otherwise, offering a variety of contemporary Vietnamese dishes to complement our picky taste buds. Experience the reopening of NamNam Noodle Bar at Wheelock with new items, right down to a new ordering system. A common conundrum you probably face during lunch hour is the dread of long queues. NamNam has one-upped the self-ordering system by allowing customers to order and pay through their phones, just by scanning a QR code on their table. Self-collection allows food to be served more efficiently and quickly, so long queues will no longer be a problem! 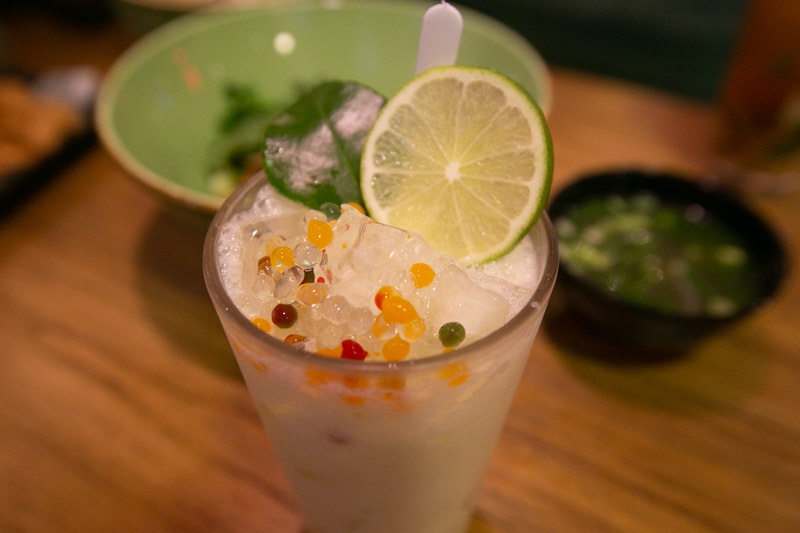 In addition, the ever-divisive king of fruits has made its way onto the menu through NamNam’s contemporary spin on the traditional Vietnamese egg coffee, and has branded itself as Eggnog Durian Coffee (S$6.90). Even as a durian lover, I couldn’t quite fathom how the mix of the creamy and pungent fruit would work with coffee. Whipping eggs together creates the pale yellow frothy foam which sits afloat the coffee, as with the traditional version. I second NamNam’s recommendation of stirring the two elements together before drinking, creating a smooth and creamy milkshake-like beverage. 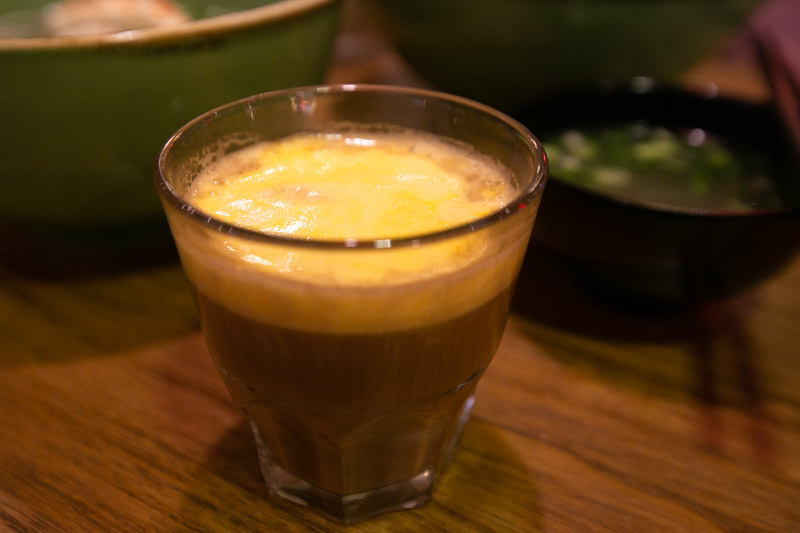 We’re sure this modern and local take on the egg coffee is sure to sit well with coffee and durian lovers. Other new drinks include Solero Lime Avalanche (S$6.90) inspired by the Solero lime and vanilla ice cream of our childhood. Tailoring and appealing to the tastes and preferences of its customers, NamNam has challenged itself to create a Vegan Pho With Brown Rice Noodles (S$7.90/S$10). Riding on the ongoing trend of alternative lifestyles such as veganism, this new addition is a step further from their previous Vegetarian Pho. 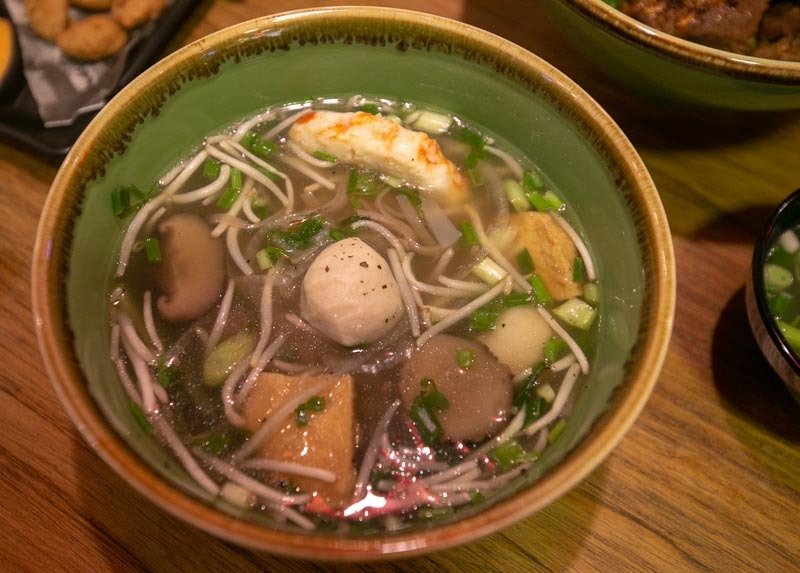 The new creation is served with mushroom stock and topped off with vegan fishballs, prawns, chicken and tofu skin rolls. Though admittedly there are distinct differences in taste between the mock and real versions, I’ll say that it was nevertheless a very tasty bowl of pho. 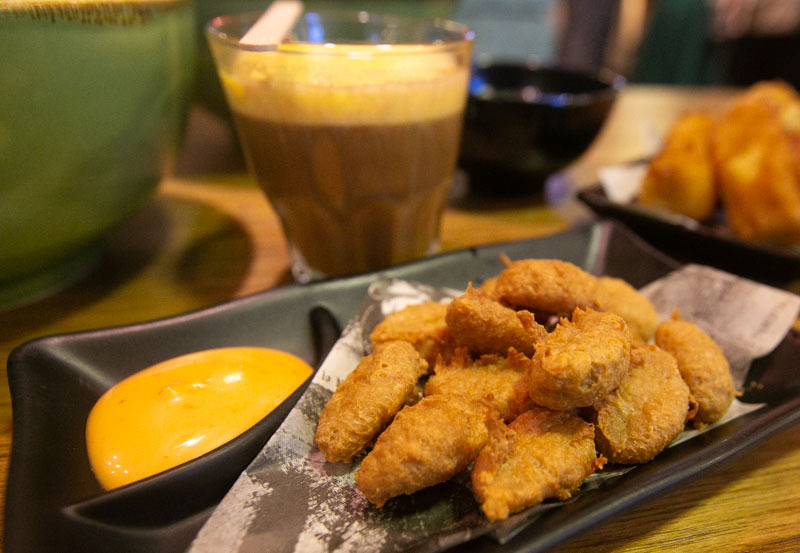 Their new Vegan Bites With Sriracha Mayonnaise (S$6.90) is definitely mention-worthy. Sceptics of vegan food may finally cave-in with this addictive snack having a texture uncannily similar to real meat. Dipped into the tangy mayonnaise, I felt that the mini bites made of soy protein and flour make for a vegan dish far from problematic, even for meat-lovers. 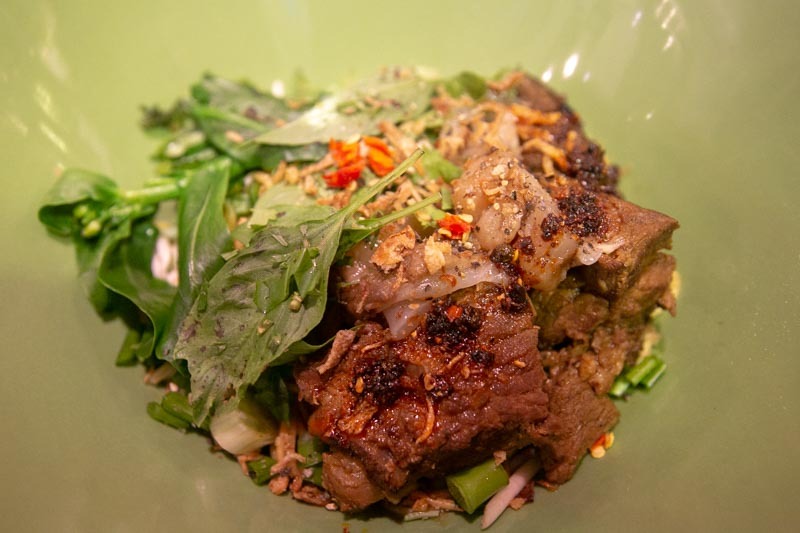 Their new Braised Australian Beef with Yellow Noodle (S$10.90) draws inspiration from Vietnam’s street favourite Bò Kho (Beef Stew). This rendition is the dry version of the traditional thick stew with chunks of braised beef brisket and tendon, and served with thin yellow egg noodles. While the beef chunks were not as tender as I hoped, the noodles deserve much praise. Garnished with mixed herbs, fried shallot, garlic, chopped red chilli padi, pork lard and crushed black pepper, the noodles were more than flavourful. I would liken it to a satisfying bowl of bak chor mee (minced meat noodles). 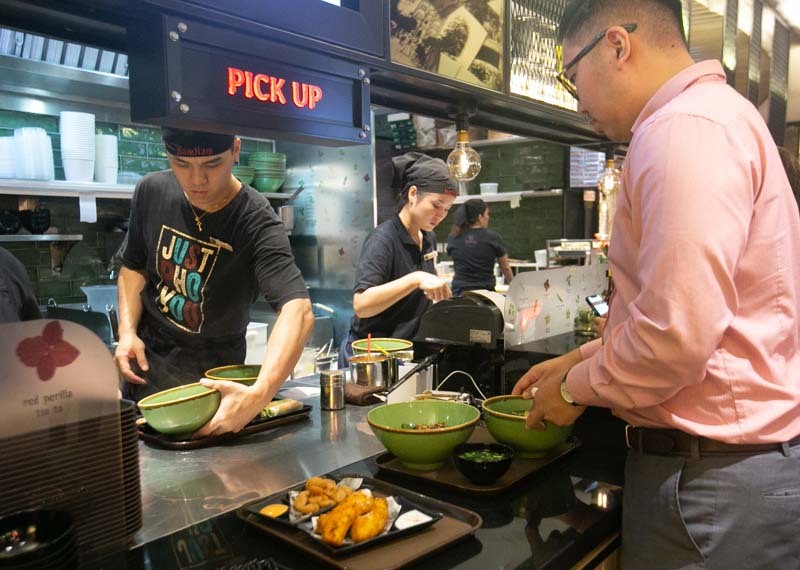 Diners now have a choice to choose between the small (from S$7.90) or regular (from S$10.90) size for their pho as part of Nam Nam’s move towards a more sustainable and eco-friendly way of operation. To celebrate their launch, customers who register on NamNam’s new self-order web platform for the first time can redeem a free side of Crispy Chicken Bites With Sriracha Mayonnaise (S$6.90) while existing registered users will also enjoy 10% off on every transaction. I guess we’ll all be skipping the long queues and getting our bowl of pho after all!